After Colin Campbell went on a short business trip abroad, he returned home to discover his wife of many years had moved out. No explanations. No second chances. She was gone and wasn't coming back. Shocked and heartbroken, Colin fell into a spiral of depression and loneliness. 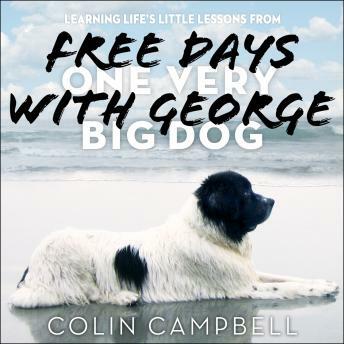 Soon after, a friend told Colin about a dog in need of rescue-a neglected 140-pound Newfoundland Landseer, a breed renowned for its friendly nature and remarkable swimming abilities. Colin adopted the traumatized dog, brought him home, and named him George. Then everything changed. Colin was offered a great new job in Los Angeles, California. He took George with him, and the pair began a new life together on the sunny beaches around L.A. George became a fixture in his Hermosa Beach neighborhood, warming hearts both young and old. Meanwhile, Colin headed to the beach to rekindle his love for surfing, but when George encountered the ocean and a surfboard for the first time, he did a surprising thing-he jumped right on the board. Through surfing, George and Colin began a life-altering adventure and a deep healing process that would bring them both back to life.